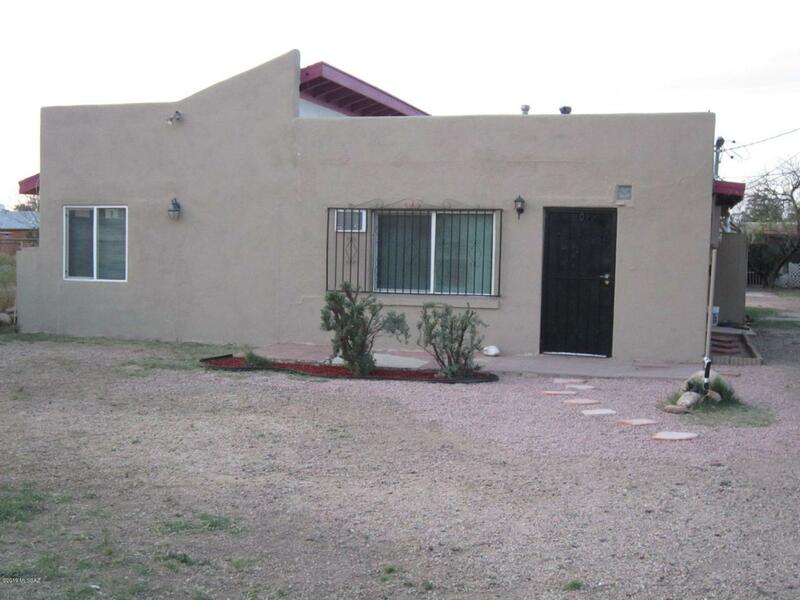 Beautifully maintained 3 bedrooms plus bonus den, 2 full baths, home in north central Tucson. Gourmet kitchen with tile counter tops, built-in microwave and dishwasher. Brand new upgraded carpet, new elastomeric roof coating, ceramic tiles, ceiling fans, blinds and brand new two tone custom eggshell interior and exterior paints. Landscaped front & backyard with covered patio, artificial grass, mature trees, and views. Dual cooling with central evaporative and walled AC units. Huge chain linked R3 zoned lot with large insulated storage unit. All appliances included in full asking price. Move-in ready. Courtesy of Flat List Re. Listing provided courtesy of Flat List Re. Listing information © 2019 MLS of Southern Arizona.